January 11, 2012 - by jenniecoughlin - 13 Comments. It’s all about options and freedom, isn’t it? So long as you are honoring your traditional contracts, and you have negotiated them in the proper way, and you’re getting along with everybody, having an independent line that complements your traditional work is a no-brainer. It’s real income, and I have this quaint notion that writers are entitled to earn real income from what they write. Of course, things are a little dicey right now because many authors with traditional contracts are running into their non-compete clauses, and some publishers are playing hardball with them. That’s fodder for another discussion. But going forward, writers and agents have to be wise, creative and stalwart in their negotiating with traditional publishers. And publishers need to realize that author good will is something they’re going to need long term. How do you think your traditional publishing experience affected your indie publishing experience? Because I wrote my way up through the traditional channel, over the course of twenty years, I had the chance to work with some great editors. I got better as a writer doing all the hard work of meeting deadlines and editorial comments. This is invaluable. For those who are going right into independent publishing, I urge them to find ways to make it hard on themselves. Study the craft diligently, get hammered by freelance editors or critique partners or beta readers. Don’t assume that this thing is easy. I’ve also gotten to know the publishing industry well, how publishers think. I apply that to my own independent publishing. I try to stay objective about my own work and plan several years in advance. With traditional publishing, the publisher provides the editor. How did you find one for the work you published? What tips would you offer for others who are looking for an editor? You don’t just want to pick someone out of the Yellow Pages or Google. The best way is through trusted companies, like Writer’s Digest and their 2d Draft service, or recommendations from other writers. How do you find people to make those recommendations? Go to writers conferences. That’s one of the best things a new author can do. Go and network, meet editors and fellow writers and ask questions. Do research, find people who have good reputations. When you find somebody you really work well with, it’s gold. Nurture that relationship. My usual MO is this: I write a first draft, let it sit for a time, come back to it and edit it myself. I give that next draft to my wife, who is a terrific editor and proofreader. I take her notes and incorporate them. If this is a project with my agent, he gets the next crack at it. If it’s an indie project, I have a network of beta readers who are generous and good at what they do. I have them go over it, make additional changes, and then finally go out to a copy editor. This is something I pay for and it is money well spent. What were the biggest surprises you had before indie publication? After? The biggest surprise, to me, was how fast the digital revolution was moving a year-and-a-half ago. We all knew digital would take more and more territory, but the speed of the change was amazing, especially after Christmas 2010. That’s when my wife gave me a Kindle. I am a book lover. I love my collection of paperback originals from the 1950s and hardcovers from favorite authors. I never thought I would truly lose the desire to hold a physical book in my hands. But the e-readers like the Kindle are wonderful, amazing devices. I got hooked on mine and knew millions more would, too, and very soon. That’s when I decided to jump in with some indie books of my own. I had no idea what to expect in terms of sales. But the first couple of months were a pleasant surprise. It showed me what the possibilities really are. I don’t see most writers hitting grand slams the first time out. Or maybe ever. But if you create volume and can deliver the goods, you have a good chance of making a fair income over the course of time. These are a lot better odds than the overwhelming majority of writers in history have ever had. The most challenging part is internal quality control. With traditional publishing, you’re working with a team of professionals and a window of time of a year to eighteen months per book. One of the most exciting things about indie publishing is the speed with which you can bring out books. But you have to find ways to give your work the attention it needs, everything from cover design to marketing copy to editing and formatting. You simply have to think like a business for all these tasks. For any writer considering self-publishing, I urge them not to move too fast. That may seem contradictory to what I said above, but remember I’ve been a professional writer for two decades. And for several years before that I was diligently learning how to tell a story, how to plot, how to write a book that moved. If you don’t know these things it doesn’t matter how fast you publish, nobody is going to continue to read your work. There’s an old sports saying: “It’s not the will to win that counts. It’s the will to prepare to win.” Everybody wants to publish and make money. But how many are willing to pay the price to become good enough writers to make that money? If a traditionally published writer is happy with a publishing house, I’d say find ways to work with that house so you can put out complementary material. Writers and agents have to help publishing houses to see that this can be a win–win. The indie work can make new readers for the traditionally published work. Unfortunately, that kind of thinking is in short supply right now. Everything is moving too fast and publishers are naturally concerned about the future. I would say to the traditionalist and his or her agent, get very clear about contracts, and what you are willing to walk away from. Perhaps the idea that you have to be a monster marketer and self promoter. I actually think marketing and promotion and social media, while important, are going to be less so in the future. That’s because there is so much of it –– a constant daily onslaught –– that no one, and I mean no one, is going to dominate the marketing stream. The only thing that’s going to work over time is a steady production of quality material, which will lead to reader recommendations and word-of-mouth. Your marketing and social media can get you an introduction, but it’s your work that is going to have to carry the day. And that is exactly how it should be. It’s a simple business decision, nothing more, nothing less. Amazon is a business. A HUGE business. And they are making this offer that is in their long-term interest. That’s what businesses DO. They are offering the chance for indie authors to make their work available for free for a period of time, and also a share of a pool of moolah based upon the lending program for their Prime members. So, you sit down and ask if it’s in your interest to accept that offer. I am doing Select with a couple of my stories, and so far I like the results vis-à-vis the free downloads. This was the main reason I did it. I think the downstream effect – that is, making new readers – is in my financial interest, regardless of what comes in from the lending fund. One of the challenges for indie authors has been the large volume of work out there that isn’t ready for publication, especially since readers have limited tools to search through the pile for the quality books. Do you think this will always be a problem, or is it just a phase in the evolution of e-publishing? We will always be subject to Sturgeon’s Law, which states that 90% of everything is crap. That’s not going to change. So readers will find various ways to deal with that. Free sampling, perhaps some trusted web hubs. But I don’t think there is ever going to be one, dominant location to find quality work. The marketplace is too vast now, and everyone can get a seat at the table. So success will happen this way: a reader will love a book or story and want to buy more from that author. If the author has more to sell, he or she will make more bank. It’s as simple and as profound as that. The best thing to do is to write crazy good books and stories and get them out into the market. And keep doing that, over and over, for the rest of your life. Thanks so much to you, Jennie, and James for such an interesting and informative interview! Thanks, BJ! Glad you liked it. James had some wonderful perspective on all the turmoil. Terrific interview, Jennie and James, which covers so many of the burning issues. Indie publishing and traditional publishing shouldn’t be opposing sides of a chasm, they should be working together. But it starts from writers who make darn good books. Thanks, Roz! Good point – hopefully this is the year both sides realize coexistence is not only possible, but beneficial to all. “But if you create volume and can deliver the goods, you have a good chance of making a fair income over the course of time.” Thanks for all the info James. Thanks for stopping by, Emma. That’s definitely one of several great points James makes in his answers! My pleasure, all. Glad it helps. Thanks again for taking the time — this is some fabulously helpful information for both indie and traditional authors. I really appreciate it! Fantastic interview. Lots of wisdom here. Especially urging people not to move too fast. Or emphasize marketing skills over writing skills. Congrats on getting a shout-out from Porter Anderson. Belated thanks, Anne. There is a ton of wisdom in here, very much worth reading for any writer, indie or traditional. Really solid advice and a great interview. I totally agree with the views on social media and the need for a quality product. Word of mouth is very powerful. Thanks for stopping by, Paul. 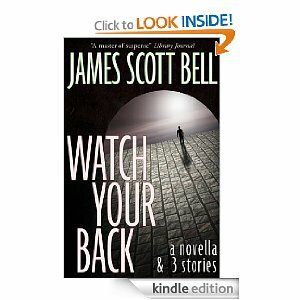 James Scott Bell does indeed have great advice, and his background gives him a lot of perspective on all the pitfalls and potential of the state of the industry these days.